Update your Patriots wardrobe with this Navy Blue Victory Long Sleeve Full Zip. Featuring a full zipper in front, kangaroo pocket, rib cuff & bottom hem, contrast drawcords, and inside hood. 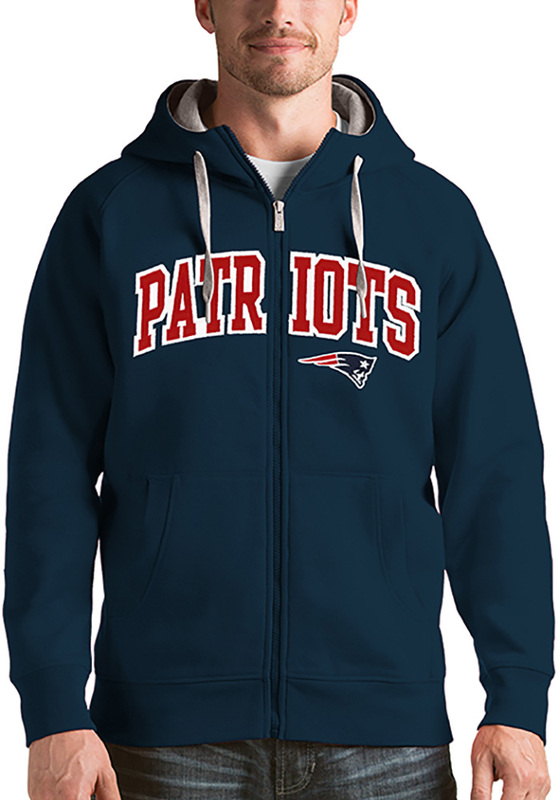 Stay warm and show off your New England Patriots team spirit with this full-zip hoodie This New England Patriots Long Sleeve Full Zip Jacket has a classic look sure to please any New England fan!